Sidharth Malhotra and Parineeti Chopra are a Jabariya Jodi this time! Thread: Sidharth Malhotra and Parineeti Chopra are a Jabariya Jodi this time! 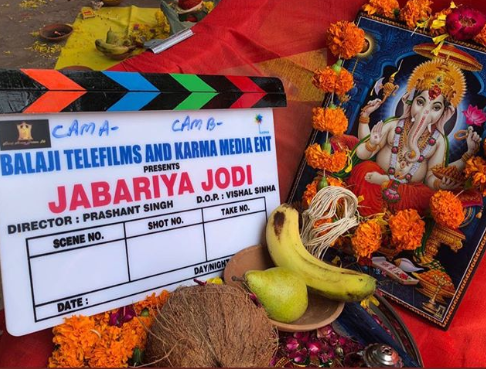 Hasee Toh Phasee pair Sidharth Malhotra and Parineeti Chopra are back with another movie titled Jabariya Jodi. Under the banner of Balaji Tele Films and Karma Media Entertainment, the movie went on the floors on Friday. The makers of the film shared a snapshot of a clapperboard that displays the film title clearly. The movie is being directed by Prashant Singh. Priyanka Chopra looked like an Emerald gemstone at an event in the Capital!